Inshore anglers know there's big fun to be had in the skinny water and North Carolina provides some of the best inshore fishing opportunities in the country. North Carolina's Outer Banks and barrier islands create an extensive estuarine system that supports numerous species of fish and allows them to to feed and reproduce in relatively protected waters. 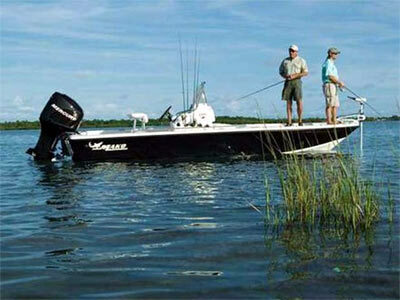 Speckled trout, red drum (a.k.a redfish) and flounder are available to just about any fisherman with a boat. While inshore species may be accessible, that doesn't mean that they're easy to catch. A good inshore fishing report can mean the difference between a few bites here and there, and a day that you'll never forget. Learning the patterns that fish follow including depth, water temperature, types of bait they are biting and time of the year are all crucial to success. Starting with a good inshore fishing report, although no substitute for time on the water, can and will shorten your learning curve and help you catch more fish. We are always looking for more inshore fishing reports, drop us a line if you see a detailed and regularly updated report we've missed.